Traveling in an RV is quite an adventure in itself, but international RVing takes your adventure to another level. It is a combination of a road trip and an exotic vacation, depending upon your destination. U.S. RVers tend to tour the states, but when they go RVing abroad, it’s probably either to Canada or Mexico. There are a few things that you should know, be aware of and prepare for to ensure that you have a safe, enjoyable journey. Taking an international RV trip is no short journey. Therefore, you might want to bring some comforts from your house to create a familiar environment and ease any home sickness, especially for children. Consider bringing different items that are used often, such as your dining ware, throw pillows and blankets, rugs and other accents, along with anything else that can be calming. You might also consider certain air fresheners and candles that you commonly use in your home and that have calming properties, such as lavender or chamomile. Turning your RV into a mini version of your house will help you feel like you’re always home on the road. If you are traveling with your family, your RV can sometimes feel a little small. Each individual should have their own designated area that is just theirs. Having your own space is good for all individuals, but especially for children. Take some time before getting on the road to solidify what area each person has, and if possible allow each individual to personalize their particular area. If you have a smaller RV, you may need to share certain areas, but individuals can have the space as their particular area during certain times of the day or while doing different activities. Whichever path you choose, it is important to create those clear boundaries and stipulations up front so that everyone understands and agrees. 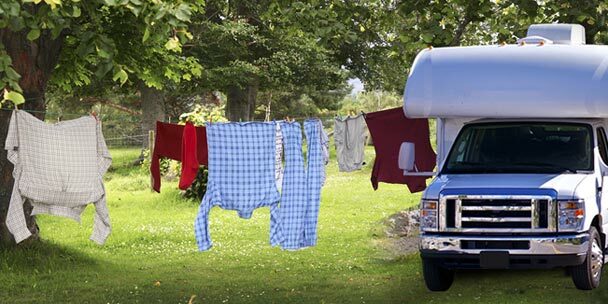 Especially when RVing internationally, it is critical that your RV be in the best shape. As such, you should take your RV to a trusted mechanic and have it checked. Just as you would check your tires and liquid levels before leaving on a long road trip in a car, you must do the same and more to ensure that your RV is fit to travel the international roads. When you travel anywhere that you have never been before, you run the risk of coming across poorly maintained streets or dirt roads. Ensuring that your vehicle is in great shape and that you have durable tires can prevent you from experiencing any problems on these roads. When traveling internationally, you will most likely be utilizing a different currency at some point. Particularly in Mexico, some places may still accept American currency, especially in the bigger cities. However, if you are making larger payments you may end up taking a loss. It is best to convert at least some of your money to the local currency to avoid any hassles. That being said, do not convert more than you plan on spending all at once, because you will end up losing money in the conversion fees when you switch back to your normal currency. You should also make sure that you understand the denominations of the currency in order to ensure that you are not under or over paying for any purchases. In touristy areas, shop owners might try to take advantage of foreign visitors who are ignorant of the denominations of the currency, so becoming familiar with your money before you leave can save you a lot of unnecessary expenses. It is also imperative that you keep your money safe from pick-pocketers and muggers–this goes for any major city you visit, anywhere in the world. Try not to keep too much money on you at any time, and store it safely on your RV, out of plane sight. Though it may be fun and adventurous to wonder aimlessly in some areas along the way, it is a good idea to have at least a skeletal outline of the different stops you plan to make and attractions you want to see on your trip. As you are planning things out, make sure that you include gas fill ups and stick to them, therefore avoiding any possible incidences of being stranded along the road. Try to map out the rest stops that you plan to camp out at as well. Though you have done your research, you still do not know the areas that you will be traveling through quite like the locals. Therefore, resource centers and tour guides can provide great advantages to you. Just make sure that you consult with actual workers and not just individuals off the street to avoid possible fraudulent or dangerous circumstances. It is also key to be aware of the weather patterns of the area and to try to avoid harsh weather when you can. Certain areas may not be safe at certain times or water supplies may not be clean, which you need to be aware of. Having these items on hand can prove to be literal lifesavers in some instances. Though you hope not to need your first aid and survival kits, it is essential that you keep them loaded, secured and easily accessible. Even if you are traveling in the dead of summer, you should also stay prepared with clothing for all types of weather. When you are in an unfamiliar location with limited connections (and possibly even a language barrier) it is absolutely better to be safe than sorry and pack every possible thing that you could need. You have an RV–there is no need to pack light! International RV travel should be an amazing experience for you to enjoy. To ensure that it is, you should make sure that you are fully prepared. By following the aforementioned checklists, making yourself aware of key aspects of the nation and bringing certain preparatory items, you can guarantee that you and your loved ones will receive all your trip has to offer. CompactAppliance.com was created to provide the most comprehensive online destination for people in search of portable and space saving appliances for the home or office.